AutoMatrix’s software has been designed from the ground up to be user-friendly, robust, and functional. The company’s software incorporates all aspects of the dealership into one system that works in realtime, giving dealers the ability to make informed, data-driven decisions and increase the efficiency of the dealership’s operation. The featured mobile integration gives dealers all the required information on the go and in the palm of the hand. 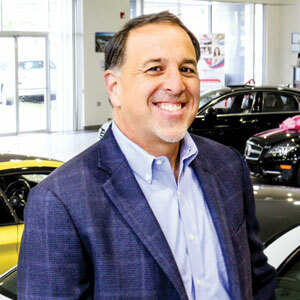 The software has over 120 different standard reports and can also create custom analytics for dealerships that desire additional insights.“We're helping dealers stay ahead of the ever-changing industry, and we're saving them, on average, over two hours per day by having these insights and technologies run smoother,” explains Christman. AutoMatrix created a buy here pay here (BHPH) module, which not only tracks the payments, but also accepts ACH (Automated Check Handling) or credit card payments which automatically record payments in the accounting module. The software traces payment history and sends out payment reminders via SMS and email. For those customers that do not use either, the company offers a behavior predictor which, based on a customer’s payment history, can accurately predict payment behavior. Currently, in the automotive industry, 12 percent of used car sales are BHPH, and as the economy is strong, banks have tightened up on credit to prospective buyers. As a result, one out of eight consumers buy a used car with the BHPH option. “We have just rolled out the BHPH module, and we have simplified the accounting process so that it doesn't require a CPA,” adds Christman.